When I was younger, I thought that someday I would reach a point in life where I would have everything figured out. 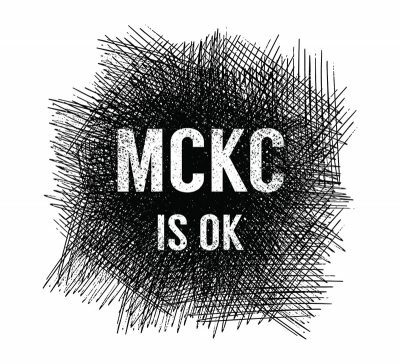 Now that I’m older, I realize that every single person in the world has no goddamn idea what they’re doing with their life—I think MCKC feels this way too. Is OK is a collection of songs about reaching that realization and being (mostly) okay with it. “The Grass is Green” sets the mood for this EP with a sunny stomp that embraces the uncertainty of life. An organ quietly swells in the background as Casey Keele’s narration contemplates what his future holds and what he could’ve done differently in the past. Will he have kids? Will they be proud of him? Has he made all of the choices in life he should have? Finally, he resolves, “Sometimes I don’t know / Sometimes I don’t care.” Sometimes, all you need to quell a bout of existential anxiety is a small dose of nihilism. “Baker” is another highlight, set in the shadow of The World’s Largest Thermometer—an actual tourist trap you can find between Las Vegas and Los Angeles. This time, the narrator feels envious of the passing highway’s sense of purpose and direction and laments the sameness of his life, once again, over a joyous organ joined by trumpets and pop punk “whoa-ohs.” I really like MCKC’s ability to balance his tales of sadness and drudgery over some legitimately upbeat and fun compositions.